The study shows that the overall number of the birds has fallen by more than 40%. In the counts conducted in the Baltic in 2007-2009 and supported by the Nordic Council of Ministers a total of 4,41 million wintering waterfowl was found. In 1992-1993 the number still amounted to 7,44 millions. The numbers of at least eleven of the twenty investigated species had decreased, seven of them by more than 30%. 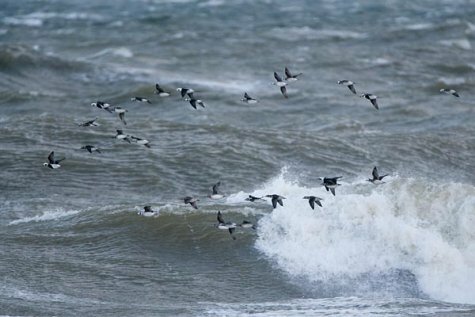 The largest reduction in numbers has taken place for long-tailed ducks (Clangula hyemalis), 65%, and nearly the same order of magnitude applies to Steller’s eiders (Polysticta stelleri) and velvet scoters (Melanitta fusca). The numbers of common scoters (Melanitta nigra), eiders (Somateria mollissima) and red-breasted mergansers (Mergus serrator) have decreased by roughly half. The list of causes includes deteriorating breeding conditions in the tundra areas and the Arctic due to climate changes, pollution of the seas, overhunting of game birds and a great number of other factors.